My training is ramping up right now as we move closer to the Tour of Bright – Cycling Victoria’s biggest amateur race of the year. Recovery is becoming more important than ever. Whilst training hard and spending time on the bike is the ultimate method to improve fitness, it’s not where you physically make the gains. It’s after the ride, when you’re in recovery mode, which counts. This is where your body starts to evolve, becoming leaner, stronger and fitter. 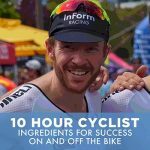 It’s therefore no surprise that the foods you consume directly after a ride play a big role in your recovery and ultimately how well you improve. For this article, I’m going to focus on the recovery drink (to be consumed after you’ve had your coffee, of course). I consume two drinks after a big ride (100 km +). One is a protein shake. I tend to stay away from whey protein, but I’ll get to that in later articles. Two is a hydrator to replace all the electrolytes lost during exercise such as sodium, potassium, chloride, calcium and magnesium. And what is my drink of choice? The juices of the humble coconut! 1. It’s natural and tastes great – it’s from the earth, meaning it’s designed to be digested by our bodies. It contains things like carrier enzymes that ensure all vitamins and minerals are properly absorbed into our blood stream and distributed to all the right places. 2. It contains all the key electrolytes lost in sweat. Coconuts are especially high in potassium which helps nerves and muscles communicate. It also helps move nutrients into cells and waste products out of cells. 3. A great source of B-complex vitamins such as riboflavin, niacin, thiamin, pyridoxine, and folates. This allows your body to create new cells, fight free radicals and protect the immune system. Pretty important stuff after a big ride. Note – I choose to drink REAL coconut water and not the processed stuff (i.e. what you can buy off the shelf). 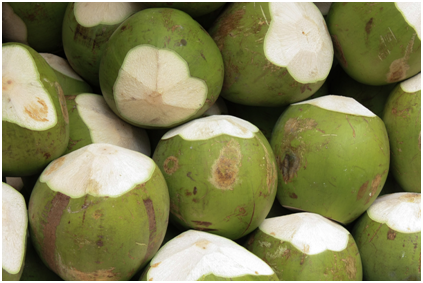 The vast majority of commercial coconut water has been pasteurised at high temperatures. Pasteurisation helps to increase the shelf life, but unfortunately damages the nutritional value. 1. Essential Fatty Acids – helping with cellular development and the formation of healthy cell membranes. They also play a role in thinning your blood to help deliver nutrients to muscle tissues and possess natural anti-inflammatory qualities. Have you ever felt a bit inflamed after riding 100 kilometers? 2. Fibre – we all know fibre helps with the old bowel movements which is rather important for a cyclist spending a lot of time in the saddle. But fibre can also help you feel full, which is handy if you’re trying to lose some weight (in preparation for an event) or just stay away from the parmas and burgers after a big ride. 3. Copper – a one-cup serving of coconut contains 39 percent of your daily-recommended copper. Copper is not produced naturally in the body but is fundamental in creating red blood cells. Red blood cells are key in delivering oxygen to our muscle issues, which once again, is imperative to the recovery process. Firstly, make sure you don’t get the brown coconuts. They’re typically hit and miss for their drinking quality. Quite often the water has gone rancid (from what I’ve experienced). Instead you should be looking for those green coconuts that have been copped and wrapped up, ready to be sold off the shelf. Most health food stores will have them, but I typically get mine from either Coles or Woolworths. They’re normally less than $3, which is a bargain considering you’ll pay more for the packaged and processed form (and you don’t even get to eat the flesh). You’ll need a decent knife to hack it open, but that’s part of the fun. 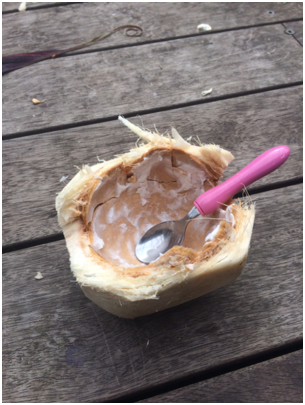 There’s something instinctual about opening up a coconut. It’s like we were born to do it. Enjoy. 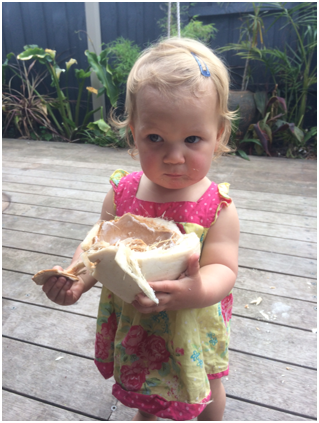 PS – the hardest thing for me is to keep the whole coconut to myself. Good article. I’m going to go get myself some real coconuts!! !